Revolution! The AX made a dramatic entrance in 1986. The ingenious design optimised everything from size, space and weight to comfort, performance and consumption – making a strong case to replace other models, the LNA and the Visa. 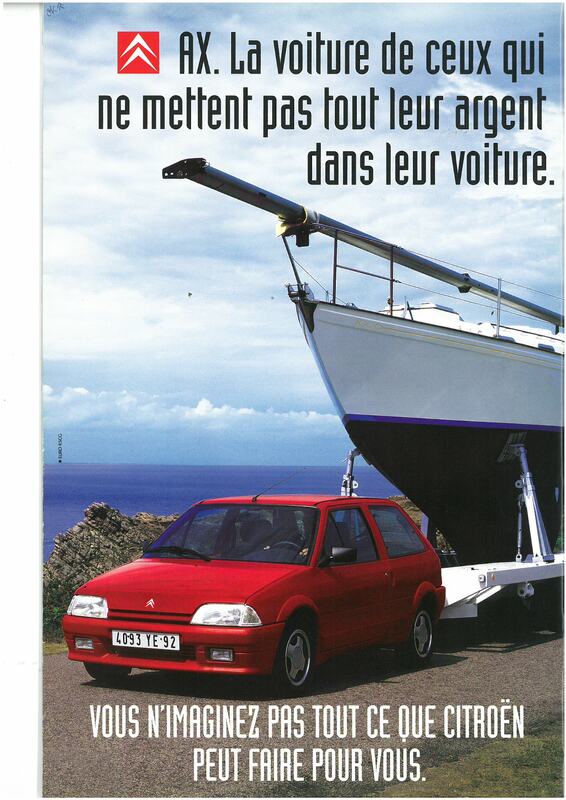 Only the Saxo, which arrived in 1996 was able to follow in its footsteps. 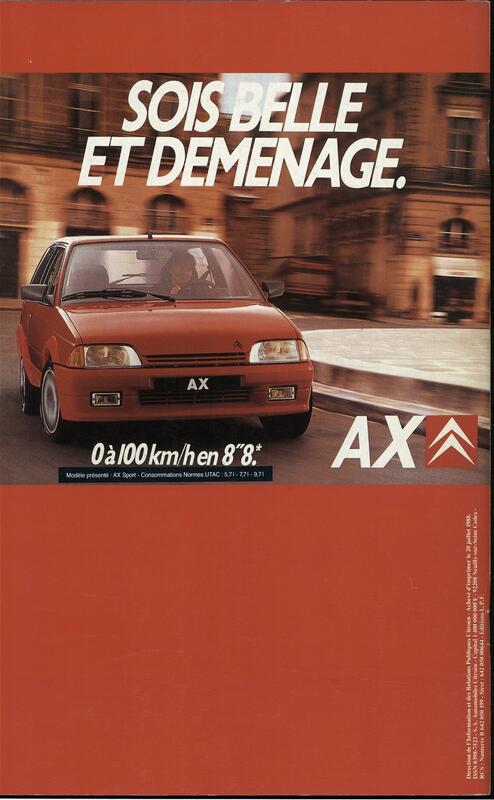 The AX allowed Citroën to proudly showed off innovative abilities in creating a city car. Those who could not go to the Paris Motor Show must have seen the highly symbolic advertising launch featuring the Great Wall of China, underlined with the mantra "Revolutionary"! 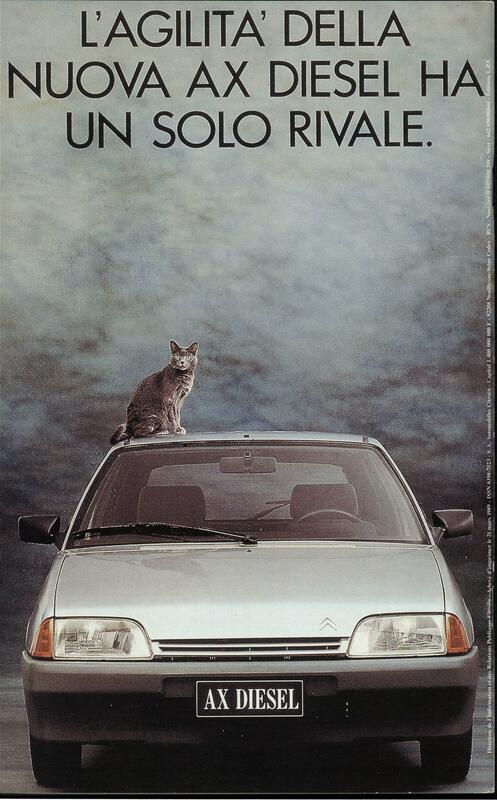 More than a slogan, a statement which was included in Citroën’s "Eco 2000" research programme. The objective was to define an economical and modern vehicle with a focus on reducing weight. The Results: The 3.5 metre AX weighed just 640 kg. Its interior space was preserved thanks to reducing the size of the engine compartment. In terms of consumption, the AX 11, 55hp, used just 3.9litres/100km combined even when it exceed 100 mph. A market revolution! The colourful spirit of the 5 HP "Citron" is present in the actual shades, such as the "Hello Yellow" for the C4 Cactus.